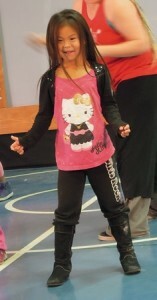 A Kaltag Elementary School student shows her moves in Hip Hop Class. 2014. The Winter Bear Project feels strongly that creativity can be a powerful antidote for many of the self-esteem issues that plague young people. For that reason, we offer a variety of performing arts-related workshops designed to build self-esteem by encouraging students to stretch themselves both physically and mentally. Although our contact time is short, we hope to leave both students and teachers with a heightened sense of their own creative potential. 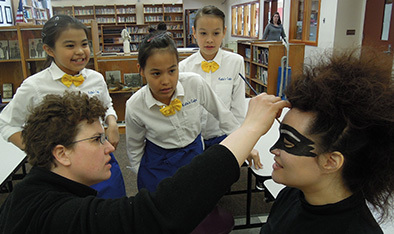 Katie John Mentasta Lake School students observe as Director Carey Seward transforms Mary Lou Rock into Raven. 2013. 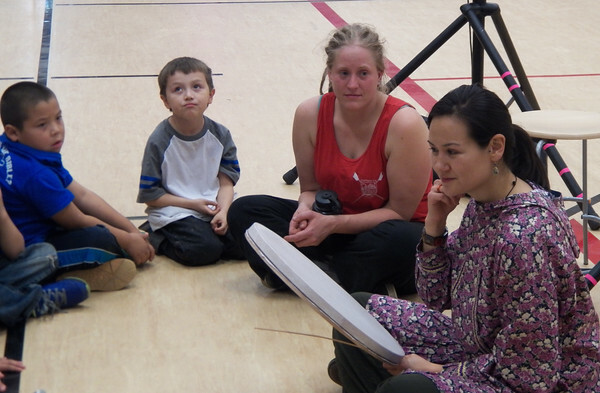 The Winter Bear Project has offered workshops in Theatre Games, Hip Hop, Iñupiaq Dance, Kung Fu, Singing, Telling Your Story, Movement, and Guitar, just to name a few! Workshops vary depending on the talents of our cast members. Director Erick Robertson leads an Improv game. The acting company works together to facilitate a series of fun, non-threatening games to encourage self-expression and build self-esteem. Kaltag, 2014. 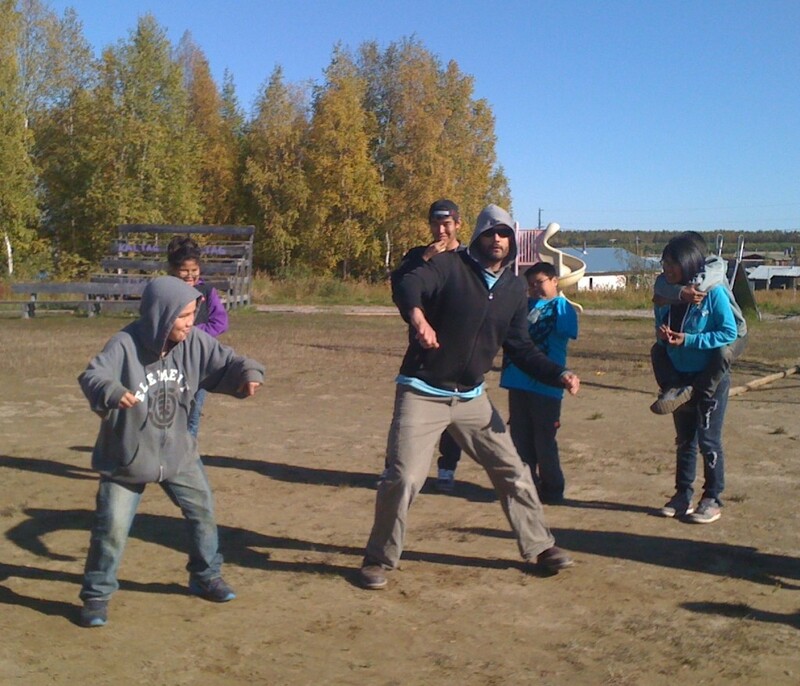 Naaq Dommek leads an Iñupiaq Dance/Storytelling class. Ruby, 2014. 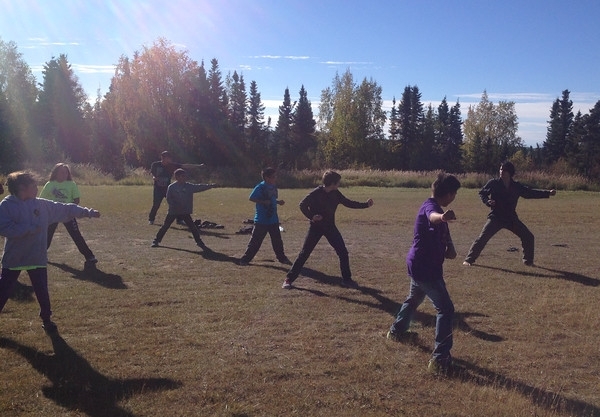 Actor Thomas Petrie (right) leads a group of middle schoolers through a tricky Kung Fu sequence. Kaltag, 2014. 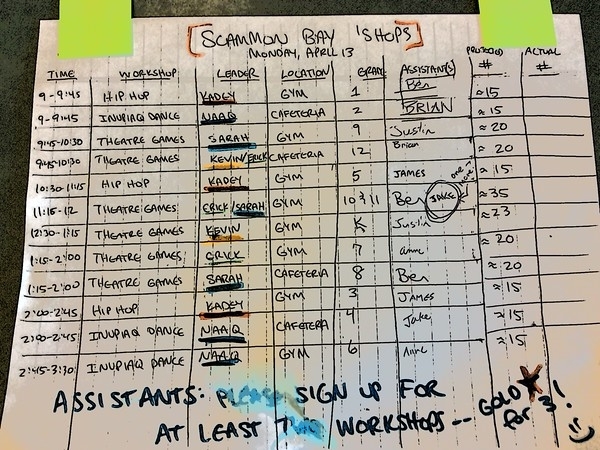 Busy day of teaching in Scammon Bay! 2015.